Imagine this scenario: While out enjoying your new car, you hydroplane and hit a guardrail damaging your new vehicle beyond repair. The insurance company is telling you that your new car is a total loss. While you may not be able to drive the vehicle, you are still responsible for the loan associated with vehicle. If you have gap insurance in Eugene, OR, you may be only responsible for your deductible. Why gap insurance: In the unfortunate event that your vehicle is totaled, and it is an event covered under your current auto insurance policy, your insurer may pay the actual cash value of the vehicle, which may be significantly less than the outstanding vehicle loan. In that case, you would still be responsible for the remaining balance between the loan and the insurance payout, which could be thousands of dollars. 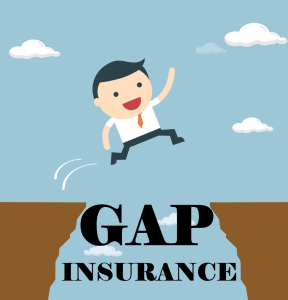 If you choose to purchase gap insurance in Eugene, Oregon, your insurance company would cover the remaining balance between the actual cash value of the vehicle and the remaining loan balance, typically up to 25 percent, potentially saving you thousands of dollars. Before you purchase a new vehicle, make sure to check with your licensed insurance agent in Eugene, Oregon to see how you can add gap insurance to your new vehicle policy. The local, independent agents at Culbertson Insurance Agency can assist you with adding or amending an existing policy or setting you up with a new policy. Their years of insurance experience can save you a bundle. You can also visit their insurance website 24/7 to learn more about auto insurance or the other insurance products they offer like classic car or home insurance. Let’s face it; auto insurance can be confusing, especially when it comes to insuring new vehicles. When trying to look up information surrounding auto insurance in Eugene, OR, the internet can be full of myths and misinformation. If you are trying to disseminate fact from fiction the experts at Culbertson Insurance Agency can help. We have compiled some common insurance myths and facts; we like to think of it as our own insurance version of Mythbusters. Color: Have you always wanted a red car, but never did because you thought it might drive up your auto insurance premium in Eugene, OR? Not true. Insurance premiums factor in the make/model, age and power of the vehicle. Premiums are also based on the person being insured. The cost of the vehicle can also influence the price of the premium, as more expensive the car usually the more expensive it is to repair if it is damaged in an accident. Optional Coverages: Basic auto insurance in Eugene, OR will cover theft or weather-related damage. Claims such as these are only covered under comprehensive coverage. Most car loans require that you carry both comprehensive and collision as these protect the vehicle fully. If your car is getting older and worth less than $1000, you may want to opt-out of these coverages, but you will want to talk this over with your agent before dropping these coverages completely. You get a bill every month (or every six months depending on your preference) for your auto insurance premiums in Eugene, OR. Your policy details what is covered and what is not. What it may not detail is how the policy cost was determined. There are many factors that go into an individual auto policy price and likely, no two auto policies are the same since the factors largely depend on the insured driver. Driving History: The most obvious factor is your driving history. Drivers that have accumulated many accidents and tickets typically pay more than those who don’t. Same goes for freshly minted drivers (of any age) and those who have not had insurance for an extended period of time regardless of the circumstance. While some of the factors cannot be mitigated, a few can. Staying alert and following the rules of the road can reduce the likelihood of accidents or tickets, thus potentially reducing the cost of your auto insurance premiums in Eugene, OR. Age: Age is one of those factors that cannot be helped. The younger you are, they higher risk you are considered. While society considers you an adult between 18 and 21, the insurance industry considers you an adult at the age of 25 which is when auto insurance premiums tend to drop a bit for the matured driver. Another factor you can’t change? Your gender. In the great battle of the sexes, women take the lead on this one as they tend to be safer drivers as a whole. Women tend to take fewer risks when driving, giving females an advantage when it comes to insurance premiums as they tend to pay less than their male counterparts. Location: Do you live in an area that is prone to car prowls or do you live a significant distance away from work? These are factors that will figure into your auto insurance premiums. Statistically, the more you are on the road, the greater the likelihood that an accident may occur. So if you commute a long way to work (notice on your insurance application they ask you the distance from home to work?) you may incur a higher auto insurance premiums than someone who lives within a few miles of their workplace. There you have it folks. There are so many factors that influence the cost of auto insurance premiums in Eugene, OR. Since most policies renew every six months, the cost fluctuates each time depending on your situation. Make sure you let your licensed insurance agent in Eugene, Oregon know if you purchased a new car, had an accident or ticket, or if you changed your name (marriage, divorce, etc.). The local, independent agents at Culbertson Insurance Agency in Eugene, OR can assist you with adding or amending an existing policy or setting you up with a new policy. Their years of insurance experience can save you a bundle. You can also visit their insurance website 24/7 to learn more about auto insurance or the other insurance products they offer like classic car or home insurance. Can I really 15% on my Insurance in Eugene, OR? “Switch now and save!” “15 minutes can save you 15 percent!” You’re heard the countless commercials about saving money on car insurance. So, we decided it would be helpful to see where all of this money comes from and where you can save money by buying from an independent insurance agency in Eugene, OR. There are even more ways to save on auto insurance, but these hit the high notes. Be sure to talk to your local independent insurance agent. They have the ability to shop you though several carriers at one time and can compare rates side by side.